These are from a couple years ago. They’re taken at Ashtabula, OH. on a chilly day. Long time readers will know I’ve always been a bit of a railfan, and that’s a trait I’ve passed on to my boys. 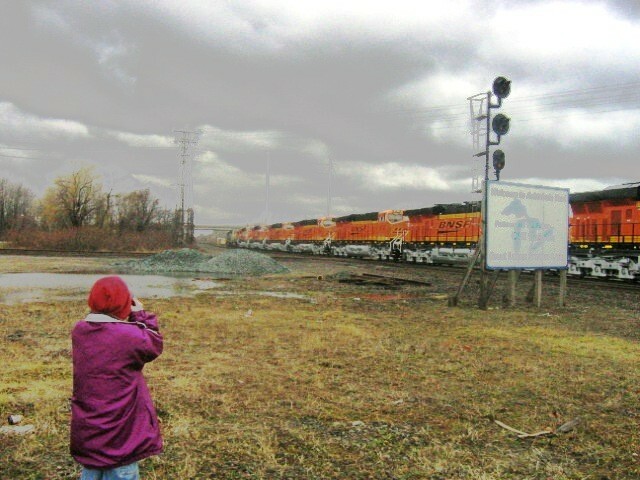 (What boy isn’t fascinated with trains?) We made a trip over to northeastern OH for a treat for the boys… to a fairly heavily trafficked line there. 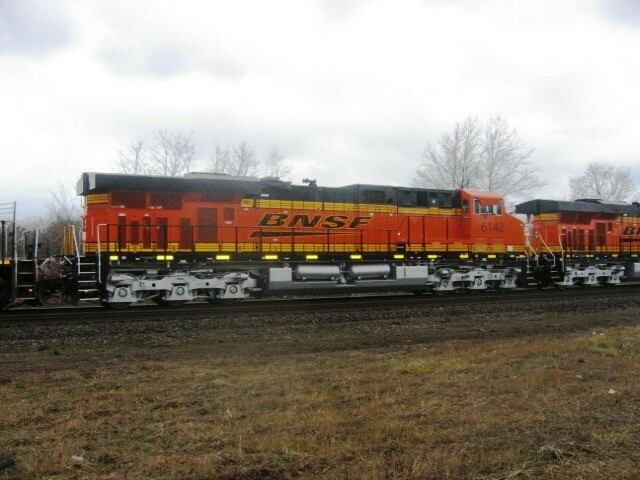 While there, we managed to see a string of new BNSF power… a delivery from the nearby Erie PA plant of General Electric. 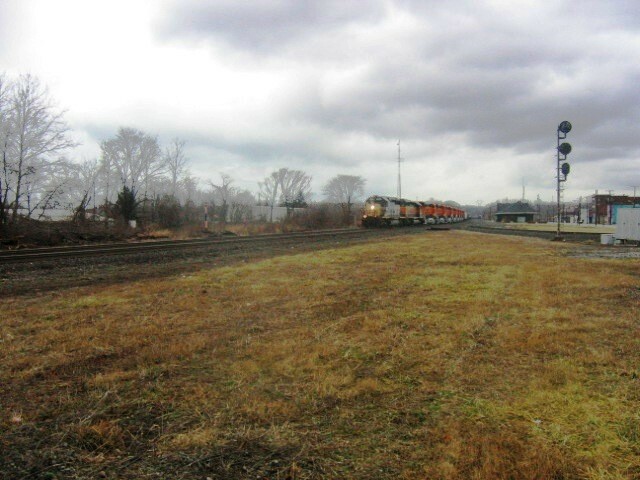 On looking at the 40 plus year old SD40 on the point of the train, we figured it was just another local, from a distance. Once it got closer, though, the ground started rumbling, as we saw a flash of orange behind the lead unit, and we knew this was something very special, indeed. The 40 on the point in it’s better days generated around 3000 horsepower on it’s own. Each one of the dozen or so units behind it were running and were capable of generating 6000 or so horses, each. You can imagine the sound. The boy in this last shot…(Wearing his mom’s coat for the moment) is my son Alex, who babbled about his good fortune all the way back to Rochester that day. We had no idea this one was coming. The luck of the draw is an everyday part of railfanning.